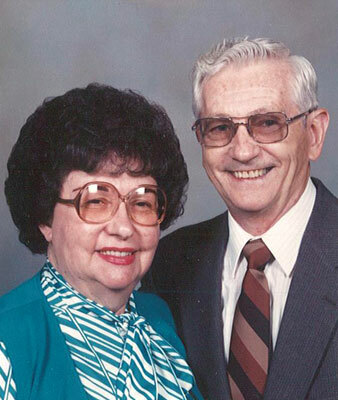 MARIAN L DENMEADE BATOREmail | “Together Again” MINERAL RIDGE – Marian L Bator, 90, died early Saturday, May 28, 2016, at Vista Care Center. She was born July 6, 1925, in Struthers, daughter of the late George and Lucinda Miller Denmeade. Marian was a 1943 graduate of Struthers High School. She was employed as a secretary with Youngstown Sheet and Tube and later in the same position at Doctors Hut, Hovanic and Dodgson. She leaves her two sisters, Harriet Wilson of Poland and Shirley (Bill) Leck of Struthers and three brothers, Donald (Doris) Denmeade of New Springfield, Robert (Fran) Denmeade of California and Ray (Judy) Denmeade of Poland. In addition to her parents, she was preceded in death by her husband, Stephen Bator on Nov. 13, 2009; her son, Stephen Bator Jr on June 3, 1990; brothers, George and Harry Denmeade; and her sister, Betty Woods. Funeral services will be held on Wednesday at 4 p.m. at the Davidson-Becker Funeral Home, 11 Spring St. in Struthers. Visitation will be held prior to the service from 2 to 3:45 p.m. at the funeral home. Interment will be at Green Haven Memorial Gardens.